My inspiration this time of this writeup is Flying Officer Nirmal Jeet Singh Sekhon, awarded PVC (posthumously) in the 1971 war. Flying Officer Nirmal Jit Singh Sekhon was a pilot of a Folland Gnat detachment based at Srinagar for the air defence of the valley against Pakistani air attacks. In accordance with the international agreement dating back to 1948, no air defence aircraft were based at Sirinagar, until the outbreak of hostilities with Pakistan. Flying Officer Sekhon was, therefore, unfamiliar with the terrain and was not acclimatised to the altitude of Srinagar, especially with the bitter cold and biting winds of the Kashmir winter. 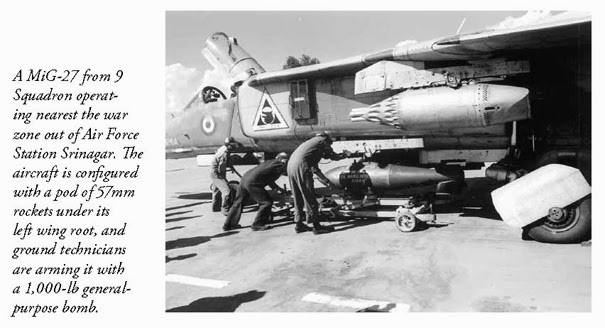 Nevertheless, from the outset of the war, he and his colleagues fought successive waves of intruding Pakistani aircraft with valour and determination, maintaining the high reputation of the Folland Gnat aircraft. On 14 December 1971, Srinagar Airfield was attacked by a wave of six enemy Sabre aircraft. Flying Officer Sekhon was on readiness duty at the time. However, he could not take off at once because of the clouds of dust raised by another aircraft which had just taken off. By the time the runway was fit for take-off, no fewer than six enemy aircraft were overhead, and strafing of the airfield was in progress. Nevertheless, in spite of the mortal danger of attempting to take off during an attack, and in spite of the odds against him. Flying Officer Sekhon took off and immediately engaged a pair of the attacking Sabres. In the fight that followed, at tree top height, he all but held his own, but was eventually overcome by sheer weight of numbers. His aircraft crashed and he was killed. 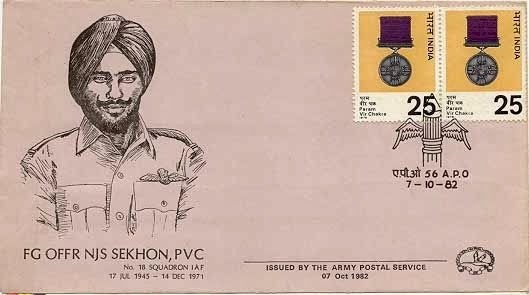 In thus, sacrificing himself for the defence of Srinagar, Flying Officer Sekhon achieved his object, for the enemy aircraft fled from the scene of the battle without pressing home their attack against the town and the airfield. The sublime heroism, supreme gallantry, flying skill and determination, above and beyond the call of duty, displayed by Flying Officer Sekhon in the face of certain death, set new heights to Air Force traditions. I hunt in packs of 2 but can take on any adversary alone too. A fully armed machine is a lethal cobra waiting to strike. 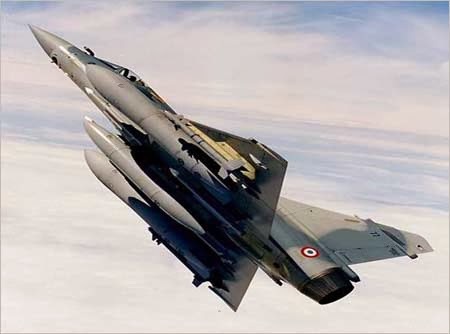 From the Gnats, Hunters, Migs to the Mirage and Sukhoi I feel comfortable in all.